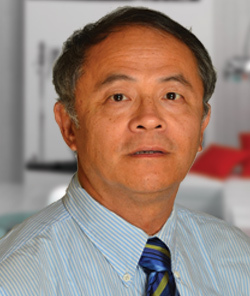 Junwei Zhou is a Brookwood shareholder and Strategic Advisor. He is based in San Jose and travels frequently to his native city of Shanghai. Throughout the mid-1990s, Junwei was employed with Brookwood when the firm was known as Satulah Group. Junwei has worked in international business and trade between China and the United States for 28 years. As a native of China and a U.S. resident, he is fluent in English and Mandarin and brings a wide range of resources to international projects. Junwei worked alongside Shepherd Heery for many years at Satulah and was a key figure in acquiring real estate business opportunities in China for the company. He helped Satulah arrange an offer from the local Lu Wan District government for developing a number of sites in downtown Shanghai. He also served as a Project Manager and Consultant for Flack + Kurtz, where he managed an engineering team for several construction projects in Shanghai. In 1993, Junwei started his own company, Weiber Tech-Trade Co., interfacing between Chinese and American companies. He also serves as a Purchasing and Marketing Consultant for China Business for American companies including Novus International Inc. and Solutia Inc. He has been managing transactions worth of about $20 million annually since 1996. Majored in Chemistry and International Business in China, Junwei received MBA from Lincoln University in San Francisco.